Cuba and its capital, Havana, are known worldwide for their historical and architectural treasures, their beautiful beaches, their warm climate all-year-round, their sweeping music and nightlife, and above all the wonderful Cuban people. 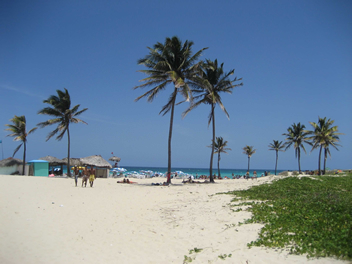 Through this website you can book an apartment or hotel for your holidays in Cuba. 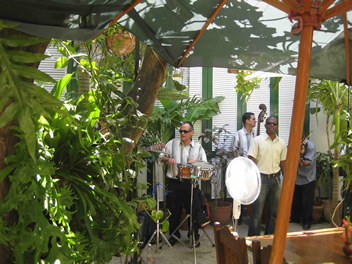 Staying in a private home, called in Cuba "casa particular", is an excellent way to spend an unforgettable holiday in this fantastic destination in direct contact with the Cuban people. The "casas particulares" that can be booked through this website are private apartments that have one, two or more double bedrooms available for their guests. The owners live in the houses and are generally very nice and helpful people that can provide valuable advice for your stay in Cuba. 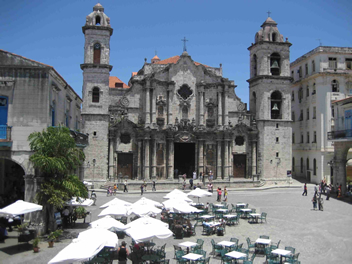 The houses that you can find using the orange search box at the top of this page are located throughout Cuba, from Havana to Santiago to all the main tourist centers of the island. Through this search box you can make online bookings in real time without having to wait for a confirmation from the house owners. This is possible thanks to our partnership with the world's leading operator in the field of online tourist accommodation reservations, which can count on a large number of affiliated houses in Cuba. Moreover, in the other pages of this website you will find a number of houses, located mainly in the neighborhoods of Vedado and Habana Vieja of the capital Havana, whose owners can be contacted directly via email. This is a service that Cuba Houses offers for free and for which it does not receive a commission from the owners of the houses. In this second case the reservation does not happen in real time, as for the houses found through the orange search box at the top of this page, but it is necessary to wait for the response by email from the owners of the houses. Payment is made upon arrival at the apartment. Through this website you can also book over 1000 hotels situated in all the most beautiful locations of Cuba, from Havana to Varadero, Santiago, Cayo Largo, Trinidad, Camaguey, Cienfuegos, Holguín, Baracoa, Playa Saint Lucia, etc. The hotels you can book include the famous Nacional de Cuba, Melia Cohiba, Riviera, Ambos Mundos, and many other hotels that offer very good value for money. The reservation will be completed online at the best prices available on the market thanks to our partnership with the world's leading operator for online booking of hotels and other tourist accommodation outlets. To search for hotels and make online bookings, you can use the orange search box on the left.